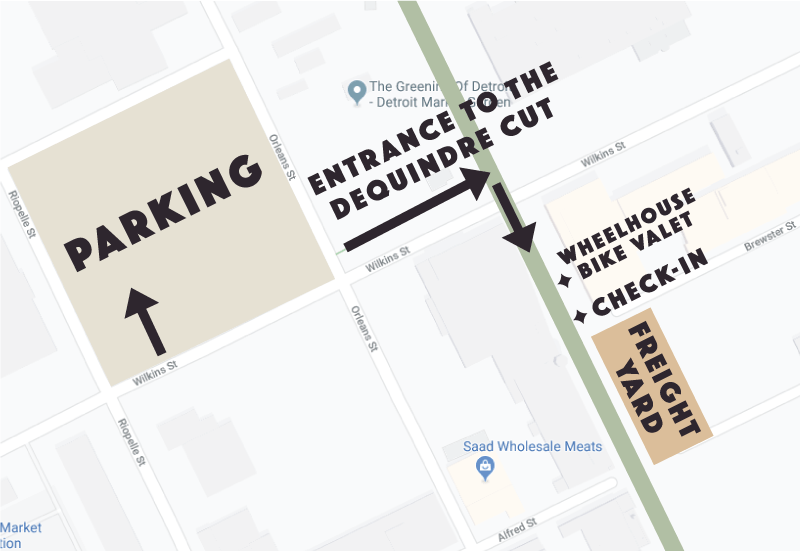 Soirée is located at the Freight Yard on the Dequindre Cut between Wilkins and Division street with the closest entrance located at Wilkins Street. Guests arriving by car can park in the large lot off of Wilkins St between Orleans St & Riopelle St in Eastern Market. For our guests biking to Soirée, complimentary bike valet provided by Wheelhouse will be available adjacent to the Freight Yard. Wondering what you should wear? We ask that our guests come masked and dressed to impress. You can join us in fall cocktail attire with a simple mask or fully embrace the theme of the evening with a festive suit, cloak, and ornate mask. Masks will be provided to our VIP ticket-holders and will be available for any guests who make a $25+ donation at the event. Event tents and patio heaters will be set-up to shield our guests from potential October Michigan weather we may encounter, but be prepared for an evening outdoors. We encourage our guests to wear layers if the evening calls for chilly weather and flat shoes since the event will be partially on grass. Still wondering what to wear? Check out the Festive Dress section of this article. • Bonfire s’more stations and more!